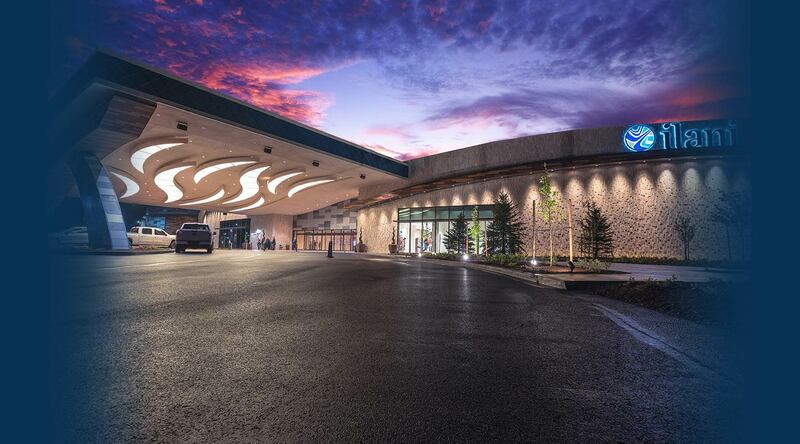 Located on a 156-acre site in Ridgefield, Washington, ilani, developed by the Cowlitz Tribe and Salishan-Mohegan, a partnership that includes Mohegan Sun, one of the world’s foremost gaming and entertainment developers and operators, is the West Coast’s premier gaming, dining, entertainment and meeting destination. With nearly 400,000 total square feet, ilani includes 100,000 square feet of gaming space with 2,500 slots and 75 gaming tables; 15 different restaurants, bars and retail outlets; and a 2,500-seat meeting and entertainment venue hosting nationally recognized performances. Our premier 100,000 square-foot gaming floor has something for everyone! There are 2,500 slot machines and 75 table games, including favorites like blackjack, roulette, midi baccarat, craps and pai gow poker. New to gaming or a particular game? We’ll help you dive into the excitement. Our dealers and staff are always ready and willing to offer advice and teach you how the game is played. ilani is a getaway from the everyday with a number of restaurants and bars, everything from casual to gourmet dining. ilani's retail offerings feature apparel and accessories for women as well as sundries and logo items.